Despite being a rarer vehicle than the previous Honda Integra Type-R DC2, the DC5 was rolled out in 2001 but had a lot to live up to. 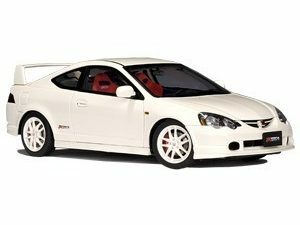 The Integra Type-R DC2 was a well loved and respected car amongst enthusiasts and the DC5 has always lived in its shadow. In comparison to the DC2, the DC5 was larger and more practical than it’s predecessor but came complete with a number of features to make it a better all-round vehicle. Perhaps most notably, the DC5 boasts a six-speed gear box as well as an expanded 2.0 litre engine. If you’re the proud owner of a Honda Integra Type-R DC5, you’re no doubt fully aware on the need of carrying out routine maintenance and, as such, we’re proud to offer an extensive range of genuine Honda parts and accessories. Whether you’re looking for replacement brake pads and discs, full service kits, clutch kits, oil and fluids or a whole host of other products, we’re confident you’ll find what you’re after here. In the event that you’re not sure which are the right parts for your DC5, why not give us a call on 01524 68071 where our team will be only more than happy to help to identify the right products and ensure what you purchase is correct. In addition to this, we’ll ask for your registration / VIN number on all orders to ensure we’re able to cross reference your products against your vehicle to make sure there’s no issues before we dispatch. For Honda Integra Type-R DC5 parts, think Cox Motor Parts!